The Solar Panel Directory Connects Solar Panel Owners and Solar Cleaning Experts! Solar Panel Owner looking for a Professional? The Solar Cleaning Directory was developed to bring owners of solar panels to experienced and professional solar panel cleaning experts. Whether you are a commercial solar panel owner or residential solar owner looking for a certified experts to clean, maintain and or repair your solar panels, we have a network or certified solar panel cleaners that can help. Solar panel cleaning can be done on your owned with expert DIY Solar Cleaning, however, one wrong move can ruin your entire system and will eventually cost you thousands in repair costs. Letting the professionals take care of your solar cleaning needs will save you money in the long run. Let the Solar Cleaning Directory connect you with the cleaning experts you are looking for. 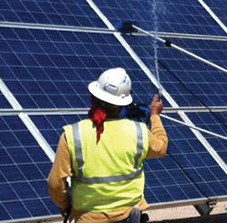 Request a Quote from a certified solar panel cleaning expert today! Are you a Solar Panel Cleaning Expert? 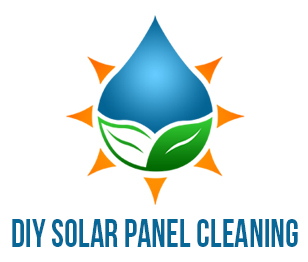 If you are an experienced solar panel cleaning expert, get listed in the largest directory for solar panel cleaners, solar panel repair experts and solar panel maintenance experts. We have compiled a list of the most experienced solar cleaning experts in each area of the world to create a “go-to” resource for solar panel owners. Many solar panel owners are looking to achieve the peak performance from their solar panels and you are just the person to achieve this. We welcome you to add your solar cleaning, solar repair or solar maintenance business in the Solar Cleaning Directory. How Much doe the Solar Cleaning Directory Cost? The Solar Cleaning Directory is FREE. We offer free listings that allow you to add all your business information to get your reach out there to the world of Solar Panel Owners and Lease Holders. We offer other options for Advertising if you are looking to get ahead of the competition and become your local area leader of solar panel cleaning. Please contact our team of marketing experts for more information. Our developers have a background in internet marketing and web development as well as experience in starting a solar panel cleaning company. Trust in the Solar Cleaning Directory to expand your reach and exposure in your local market.